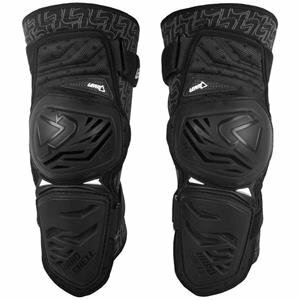 This lightweight knee guard carries some heavyweight protection. Hard shell outer over Leatt’s 3DF foam creates a product that may be have an effect on tested and CE certified to CE EN 1621-1, Level 1. And it’s also abrasion tested and CE certified to CE EN 13595-2, level 2. All of the edges of the hard shell plates and cups are co-molded with soft rubber for extra comfort. Result, protection you can put out of your mind you are wearing. Hardshell have an effect on and sliding surface . 3DF have an effect on absorption . 3D designed for optimal have compatibility . Vented plates for optimum airflow . MoistureCool wicking fabric is helping keep you cool . .